It was summer and the year was 2001. Still a young man, I had just completed my first year as a danza neophyte, and I was extremely excited to have finally found my place, my cultural calling within Mexikayotl. Having spent my teenage years becoming politicized during the brief resurgence of Chicanismo in the early 1990s, I had made the full transition from being a proud mestizo to identifying as an indio. But not just any generic Indian—convinced of my mexicanidad, I was now a proud Mexika! 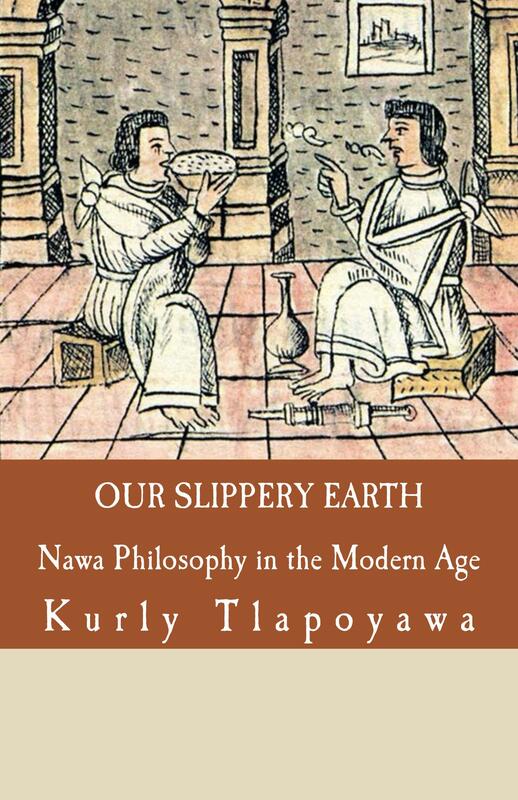 My eyes had been opened, and wearing my indigeneity on my sleeve, I proselytized and handed out Mexika Eagle Society (MES) literature everywhere I went with the same zealotry of the born-again religious. 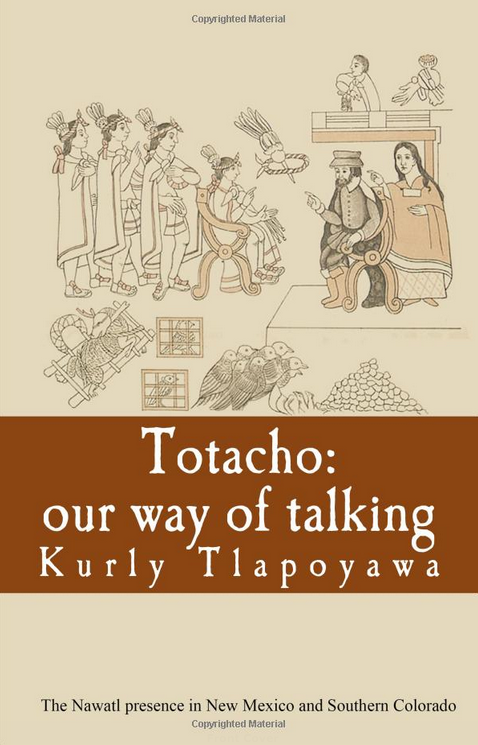 My approach was driven by indigenist ideology, and needless to say, my message was drowned in the noise of modernity. Very few people I approached ever showed the remotest interest in my news of indigenous redemption, but that did little to dissuade my implacable efforts. I strongly held that through sheer determination, Mexikayotl would eventually spread throughout Aztlan. Figure 1: Example of MES Literature, late 1990s. Memory fades with time, and I don’t recall the details, but my activism led me to a school event where a group of Natives sat around a large drum and were singing their lungs off. They were what are known in powwow circles as a “southern drum” – a drumming/singing style that is distinguished by its tenor vocals and slower beats (the northern style is higher pitched and a bit faster). The drummers consisted mainly of individuals belonging to the Kiowa and Comanche tribes with a couple of mixed Chicano-Natives for good measure. 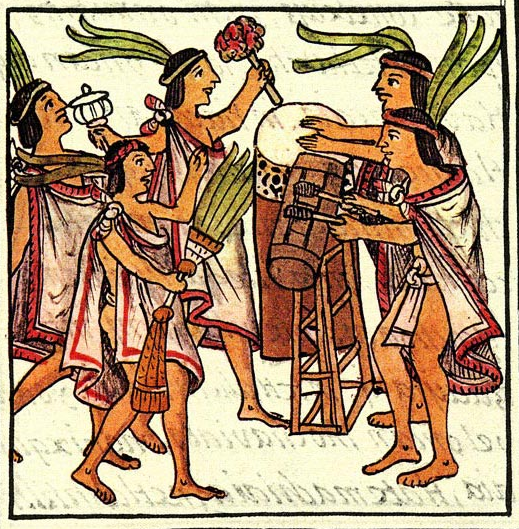 As a danzante, I was immediately drawn to the drum. I approached the group with intense curiosity, and they amiably invited me to sit with them at the drum. I introduced myself as an indigenous mexicano, a Mexika. The skeptical Indians only saw a “Mexican” in front of them. Whether it was the chaquira bracelet and the broad-brimmed straw hat with the Native patterned band that I wore which invited acceptance remains a mystery to me. Regardless of the reason, I spent the next five years on the powwow trail with that group while juggling work, relationships, political activism, and danza. I left the group when it began to fracture, and because I became frustrated with the identity politics that govern many powwows. Plus, I had started attending community college that year, and leaving the group freed up time that I could now dedicate to my studies. I recall my time with the group fondly and cherish the memories immensely. During my tenure, I learned how to drum in the southern tradition and sing as good as the rest of the group. I also gained the respect of the core membership, but that did not translate to acceptance from the greater Indian community at large. A particular incident at a powwow seared itself into my memory, and it served to convince me at the time that pan-indigenous unity was tenuous when it came to coalition building between the Anglophone and Hispanophone American hemispheres. I have since realized that my personal experience isn’t emblematic of all such relationships. In any case, during a break at that particular powwow, as I made my way to get refreshments, I was approached by a dancer who was curious as to what tribe I belonged to. “I’m a Mexika,” I replied instinctively. “Oh and where are they from?” he asked. “We’re from Mexico,” I said. “Ah, you’re one of those,” he mumbled as he walked off. And with that, my indigeneity was called into question and dismissed altogether. This was not an isolated incident, for I’d had many other similar encounters, but this one was different. I went back to my seat at the center-drum, and as I sat there digesting what just happened, that’s when I had an epiphany. I dreamt of one day organizing a powwow for danzantes aztecas and other indigenous peoples from south of the border. I envisioned having a great gathering that was not solely for ceremonial purposes as is customary in the danza community, but rather, having competitions that honored and celebrated the best among us. In other words, what I dreamed of was a powwow that celebrated the dances of Anawak and Abya Yala. For many years I spoke about this to whoever showed interest, and then one day, the right people listened to my crazy idea. I was still a graduate student working on my dissertation when I met Dr. Mario Garza and his wife Maria Rocha—members of the Miakan/Garza Band of Coahuiltecans and founders of the Indigenous Cultures Institute (San Marcos, Texas)—in 2011. My research dealt with Chicana/o indigeneity, so their experience proved instrumental to my investigation given that they have long identified as and advocated for ethnic Mexican indigenous identity. More importantly, unlike myself and those I surrounded myself with, they identified not with the Mexikah, but rather with their indigenous Texas ancestors, the Coahuiltecans. I knew Chicana/os like them were out there, for I had met danzantes who identified as Coahuiltecans at my very first danza/medicine ceremony in my first year as a danzante. Back then, the Texas danza groups were a lot more cohesive than they are today, and they would gather yearly in San Antonio at the old missions to celebrate El Dia de los Muertos and the Mexikah New Year. The missions were available to us because of the many years of Coahuiltecan-Mexikah coalition activism in the “Fiesta” city to open them up for indigenous ceremonial use. San Antonio wasn’t the only scene of Coahuiltecan activism. Just northeast of there, in San Marcos, Coahuiltecans were also actively making inroads in the Native community. In 2010, after many years of lobbying the local authorities and institutions, the Miakan/Garzas finally achieved their goal of bringing the powwow ceremony back to their community after a fifteen year absence. Despite all of the persistent hurdles, they just recently wrapped up their seventh Sacred Springs Powwow. Figure 2: Sacred Springs Powwow flyer. Over the years, the Miakan/Garzas accepted my kalpulli and danza community into their sacred circle and powwow ceremonies, and a strong bond formed between our respective Coahuiltecan and Mexikah communities. At some point I shared my idea of a danza powwow with the Miakan/Garzas, an idea they found exciting and in line with their own interests. For instance, in their powwows, they were already including danzantes in the Grand Entry and giving them their own time slot to showcase their dance tradition. They strongly felt that danzantes had just as every right to participate in the powwow as any other indigenous person. I also shared with the Miakan/Garzas my complicated experience as a powwow drummer and my dream of someday having a danza powwow. They were very receptive and showed great interest in my idea. Our fleeting discussion those many years ago sowed the seeds for the historic event that just transpired recently at the 7th annual Sacred Springs Powwow held on October 14-15, 2017. As far as we know, the very first Aztec Dance competition at a powwow anywhere took place that Sunday the 15th. There were four winners in four categories—Women’s, Men’s, Girl’s, and Boy’s. Over the course of the past year, myself, our danza chief—Evelio Chichilticoatl Flores, and other kalpulli members collaborated in developing a procedure for judging danzantes in a powwow competition. Admittedly, for a while we weren’t sure if it was remotely possible to even entertain the idea given the philosophical reservations that some dancers might have, but we managed to put together a guideline that accounted for the sensibilities of individual dancers and the regional variations of each group. In the end, I was honored to be elected as one of three judges, and I have to admit that it was a surreal moment for me. It’s been over a decade since I was an active southern style drummer and since my epiphany, and now I was witnessing history unfolding right before my eyes. It was a proud moment to bear witness not just to the very first Aztec Dance competition at a powwow, but also to have taken an actively role in developing and judging it. Let that sink in: For the first time ever, Aztec dancers had their own slot in a major powwow where they competed and the winners were recognized and rewarded like any other competitive dancer. This is just the beginning. Now that we have seen that it is completely viable to have danza competitions, it is not that far-fetched to imagine an entire powwow comprised of danzantes aztecas, including indigenous traditions from the southern hemisphere, as well as traditions from the north that are not generally included in a traditional powwow. Yes, it takes money to put on events like these, but it also takes “ganas” and enough people who share the vision to achieve this goal. In conclusion, and on behalf Kalpulli Tonalpilli – Mitotiliztli Yaoyollohtli, let me say that we are grateful to Dr. Mario Garza and his wife Maria Rocha, the Indigenous Cultures Institute, and the entire Miakan/Garza Band of Coahuiltecans for allowing this momentous event to happen at their Sacred Springs Powwow. The Garzas have had, and continue to have, a life-long commitment to promoting and advancing Chicana/o indigeneity, and with this they have demonstrated that they walk the talk. While a full-fledged danza powwow is still many years in the future, I look forward to next year’s competition of aztecas at the powwow. Author’s note: Effort was made to get the personal reflections of the danza competition participants, but none have responded to the call. If enough of them eventually respond, I’ll post a follow up that presents their perspective. Tlakatekatl is a long-time Chicano activist, a danzante Mexika, and a scholar with a PhD in history. His research explores Chicana & Chicano indigeneity and its deep connections to ethnic Mexican indigenist nationalism. He has presented at various institutions and conferences, including the University of North Texas—Denton, Southern Methodist University, and the National Association of Chicana & Chicano Scholars (NACCS). He currently teaches history at a Dallas area university and is working on turning his dissertation into a book.